In today’s paperless world where everyone tries to be eco-friendly, all the file work is done via email or any other online transmission services. PDF is the ultimate file type that has now accepted globally. Where most of the work is PDF-oriented, it has become a necessity to have a professional tool that helps you do anything with your PDF file making it more compatible, informative and uniform. The solution is PDFelement 6 Pro. 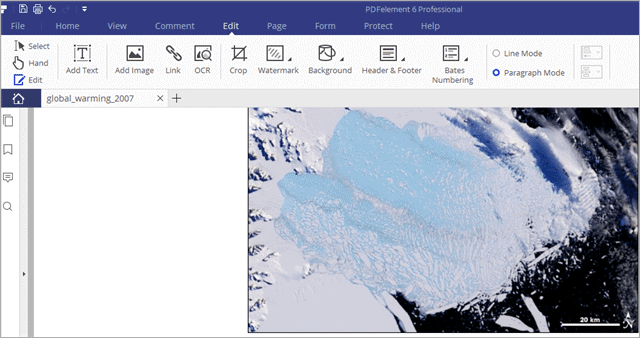 PDFelement 6 Pro has a new and innovative layout that does its job well. 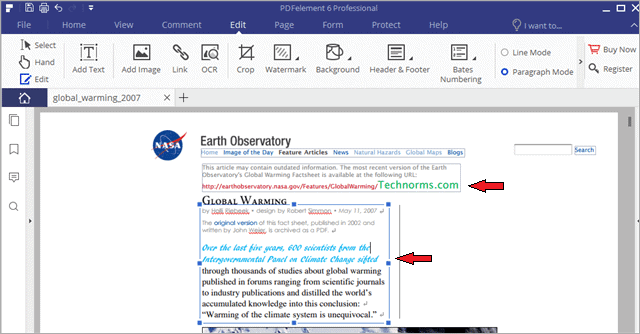 The interface resembles the Microsoft Word’s interface that makes this tool familiar and easy to use. 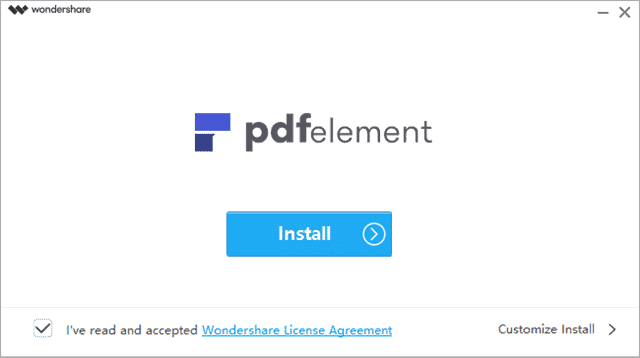 Although we know, there are other names like Adobe that has its PDF editing software, but it would be pretty expensive if you go and choose for the subscription version. We will talk about PDFelement 6 Pro that will cost you next to nothing when compared to the features it provides to its users. The installation process for PDFelement 6 Pro is straightforward. As the install progresses, the software will highlight its features. You can view, create, edit, convert, and combine PDFs with this software. 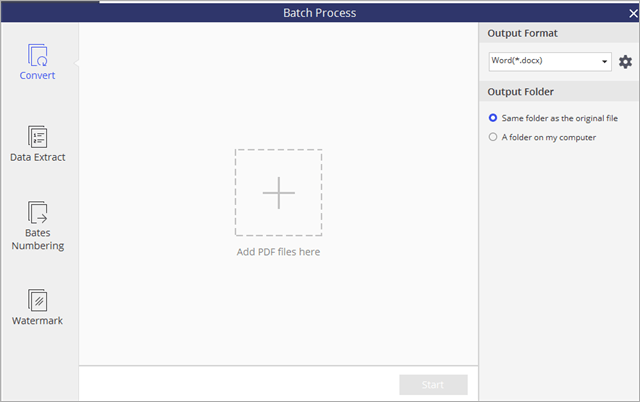 There is also a “batch process” option and of course some ready-made PDF templates. We will show you how to use it and give a boost to your PDF files. How does PDFelement 6 Pro work? The main screen you first see when opening the PDFelement 6 Pro is the active boxes which will show you a little explainer about what that particular feature does. This pdf editor lets you edit text, change the font, and even can highlight the text by changing the color. As you can see, you have options like “Add Image” using which you can delete an old image and insert a new one, then Add Text, add Link as per your requirement. You can increase or decrease the percentage of the content of your screen. As an example, we have set it up at 400%. Such options let you highlight any block of text that you want to bring attention to. You can change the layout of any pdf file to suit your needs. You can choose from options like Fit to actual page size, Fit to Window width, Fit to Window height, or even Enter Fullscreen. You also have two arrows at the top to change the page as you can see we have a total of 15 pages in this pdf file and we are on the first page. After that you have options to View one page at a time, View pages continuously, View two pages side-by-side, or View pages side-by-side with continuous scrolling enabled. You can also capture a particular part of the document. At the very left, you can see the options of Thumbnail, Bookmark, Annotation to annotate anything in the PDF. You can Add a note, Add text box and even Highlight a text area which you want to show to someone specifically. You can make any non-fillable form made in Word, Excel or any office applications into a fillable one using its Form Field Recognition feature. We consider this the most important and highlighted feature of PDFelement 6 Pro. 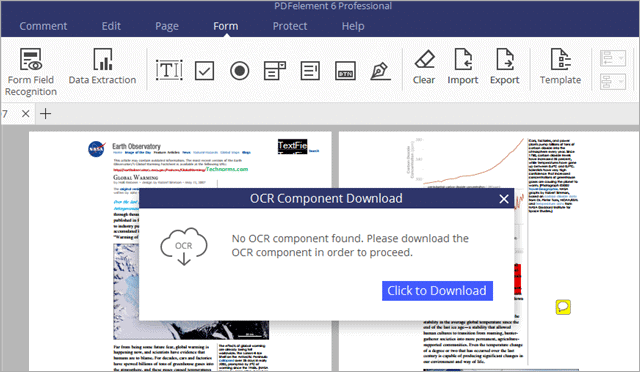 OCR (Optical Character Recognition) allows you to transform any scanned PDF into an editable and searchable pdf document. OCR is quite a nifty feature where you can convert images including handwritten or printed text into editable ones. When you click on Data Extraction feature, it uses OCR. 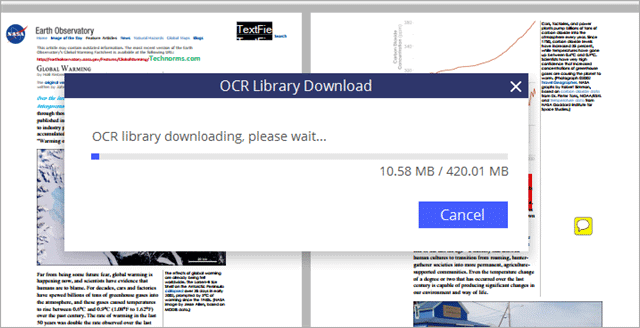 You will have to download it (the OCR component of this software) which is around 420 MB. This software also comes with some popular and useful templates like the Credit Memo Template, Wedding Budget Template, Family Budget template, Hair Color Chart and several other useful ones. 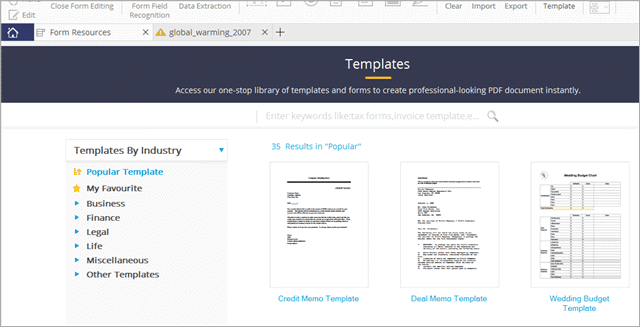 You can perform a batch process where you can do multiple PDF conversions, data extraction and many more operations with a group of PDF files. You can also combine multiple pdf files into one if needed. 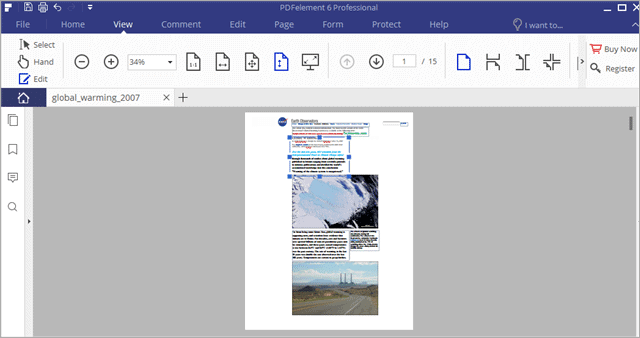 PDFelement 6 Pro has some useful and practical features that can work wonders on a PDF document. It’s good both for the regular daily use and a professional too. You can add text to the file, change the font of the text, change size and color of the text. Watermark your PDF for the security and legal purpose to prohibit any misuse of your file. Form fields can be easily recognized so that any non-fillable form can be edited. View your file any way you want; one at a time, two at a time, continues scrolling or anything. 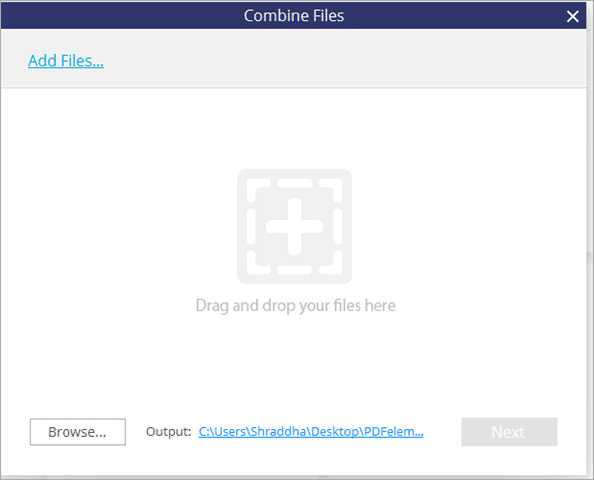 You can combine files into single PDF. In form filling, you can add text, add checkboxes, add radio buttons, add lists, add push button, add a digital signature. If you just need basic features in your daily work, they provide the standard version to meet your requirement at just an affordable price of $59.95. Standard VS Pro Edition: Check this link to see the exact comparison between the two. 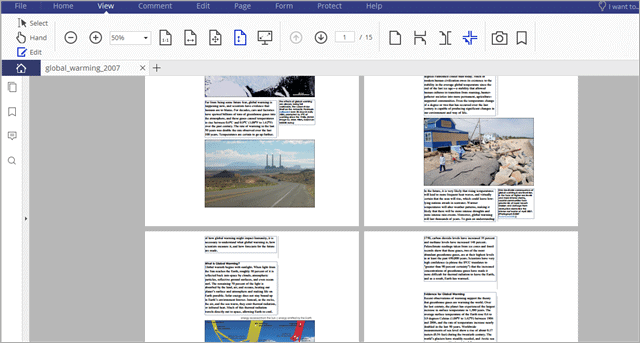 PDFelement 6 Pro is superb to use and most of all it’s handy since it has a layout similar to Microsoft Word. The PDFelement 6 Pro does much more with an affordable price when compared with other competitive tools. You can handle texts, images, add annotation, secure your file quickly. It draws away the pain of printing files, scanning them each time; now you can edit any non-fillable form without a mess. 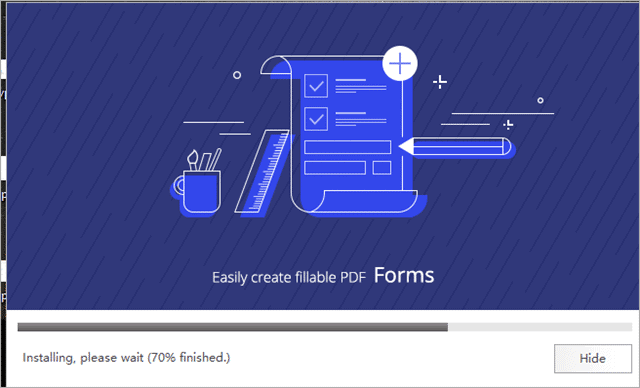 All in one, PDFelement 6 Pro is useful for people who need to work on PDF files and need variable functionality with maximum user-friendliness. Update (20/01/18): PDFelement 6 is being offered as a free download on iOS.